Throughout, you can't help but wonder how much better this movie could've been. But then, like journalism, this film should be seen for what it is. And hey it isn't bad at all. Noor' is a straight forward tale of an urban girl dealing with her life and problems. The movie will be loved by urban girls as the connectivity will be very high. As, for rest the slow pace might be a problem for this one time watch film. 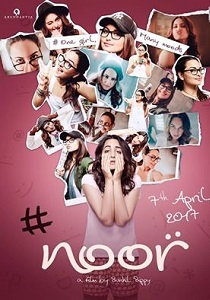 Overall, ‘Noor’ and Sonakshi, along with all other actors make for a decent watch even though the story-line is average. Watch this if you are in the mood for an enjoyable feel-good film. Just recently, she has started hooking up with Ayananka Banerjee (Purab Kohli), a war photo-journalist. This is the great debut that has come seven years into Sonakshi’s career. And for that, you must go meet Noor at theatre. All said and done. 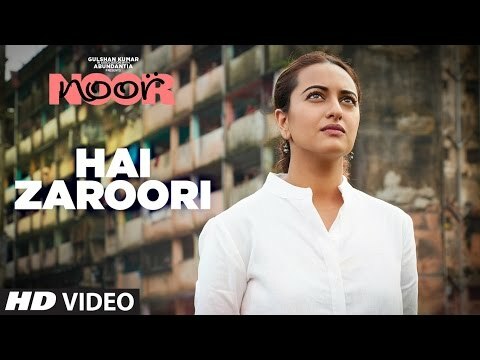 NOOR is an endearing lovable hoor (women) waiting at your nearest screen that shows Sonakshi Sinha in her top form. She is clumsy, confused but charming oozing with positivity and lots of fun. Do make a date with this NOOR. CHASME BADDOR.